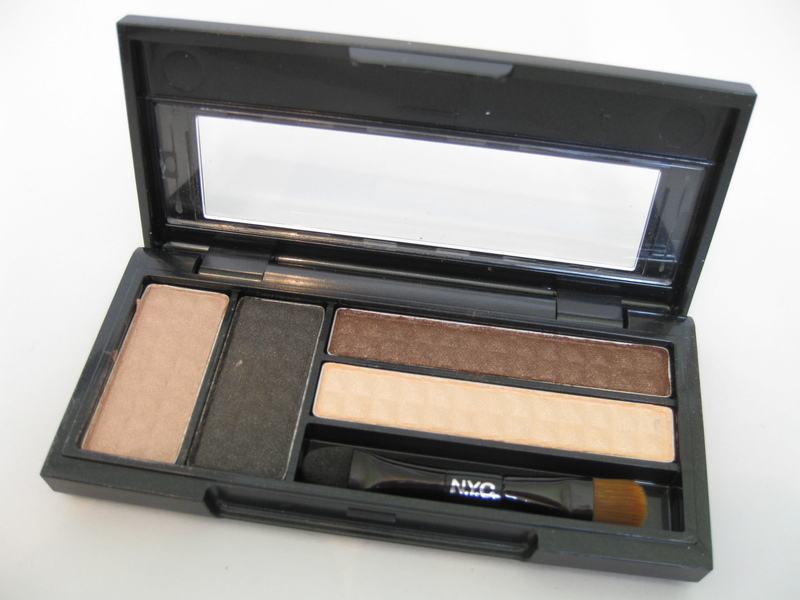 The Packaging: The compact is nice enough -the eyeshadows are housed in a matte black compact with a clear "window" displaying the eyeshadows inside. There's a plastic film to show which eyeshadows go where (all over lid, crease, contour, highlight.) There's also a little brush/sponge applicator inside -useless for daily use but could come in handy in tight situations. 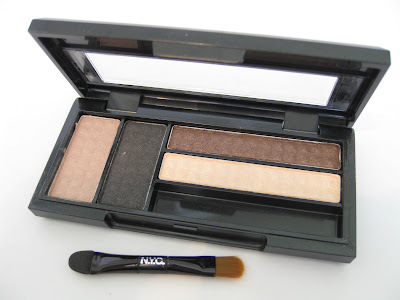 I do really like the compact size though as it's good for travel and touch ups. The Product: At 0.12 oz, you could pay $1 more and get more product from quads by Maybelline (0.17 oz) or Cover Girl (0.19 oz) but I think it's a fair price for a drugstore product -a good but not great value. I'm going to start off by saying I was not expecting any miracles -NYC was never one of my favorite brands but I still wanted to give them another try. 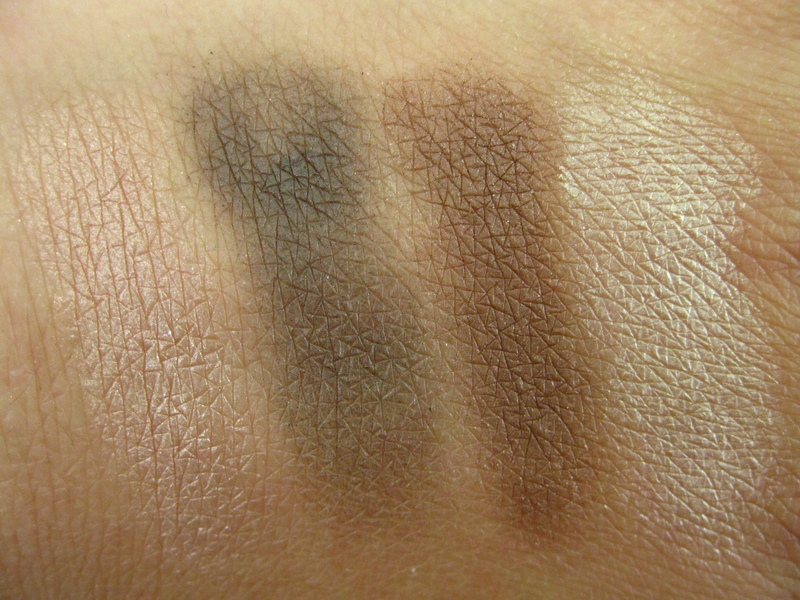 The eyeshadows do look really nice in the pan (nicer than they used to) but after swatching, I realized that they were poor-average in terms of color payoff. 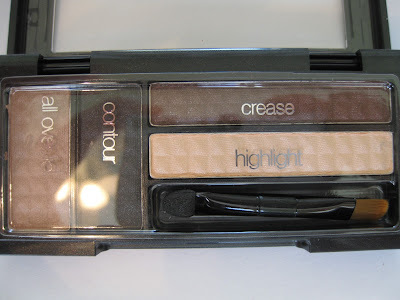 The Highlight shade actually had really good payoff while the Contour shade was horrible. 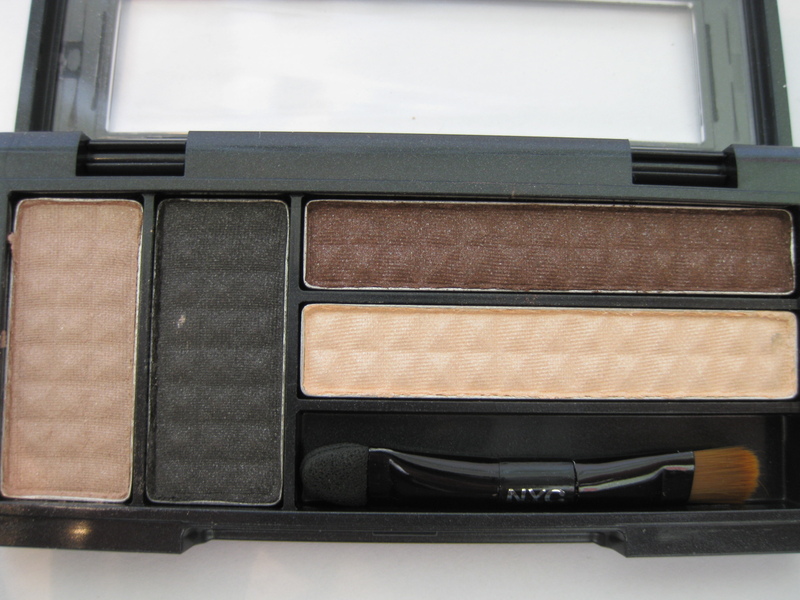 I really had to pack the color on for swatches. 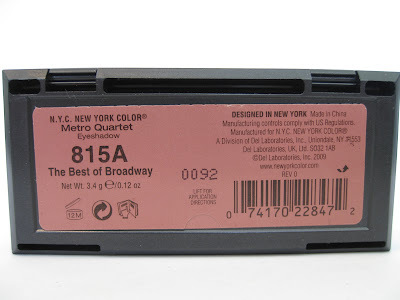 Without primer, these last on my eyes about 2-3 hours and fade away. However, I tried them with a primer (UDPP) underneath and they were a lot more pigmented (I'd say average-good quality.) 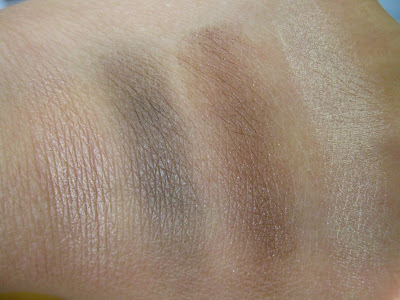 With primer, they held up all day with minimal fading (but I did still have to pack on the color.) Also, I have no problems blending the shadows and they are fairly smooth but a little on the powdery side. Overall: I wouldn't buy this again and next time I have an NYC coupon, I'll be looking into their other products. 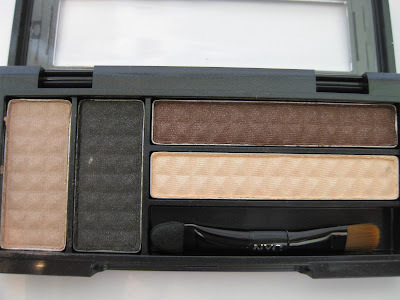 The eyeshadows are "OK" quality but I personally rather spend extra to get amazing quality. 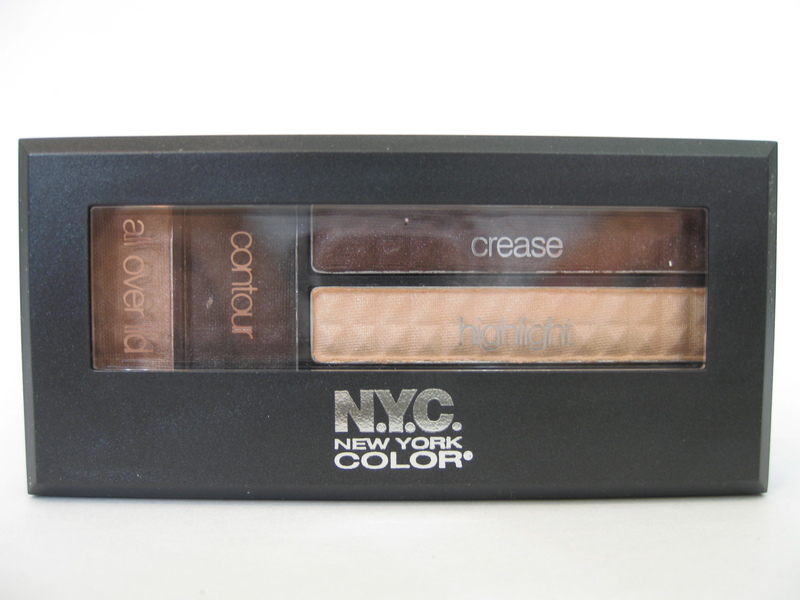 Also, if you're on a budget, I recommend Wet 'n' Wild eyeshadows over NYC any day -they're around the same price range. Thank you Melly. =) Glad you enjoyed the review! @ Kristie.. Yea.. they are on the powdery/chalky side. Aww.. I really DO hope people save because of my reviews!